We’re currently looking for an API Architect with a passion for technology. Are you able to explain technology and complex topics so that even a recruiter can understand them? Do you enjoy boring, err, educating your friend, family, and colleagues about such riveting topics as APIs, application vulnerabilities and security, refactoring existing code, user authentication flows and session management. Then we need you to help us craft strategy and technical blue prints and then leading teams to execute. We are looking for US residents ONLY! Must be a Greencard holder or US Citizen. No sponsorship offered at this time. Due to the structure and nature of this role, we are preferably looking for an individual that has enterprise experience, worked with a common household name company. 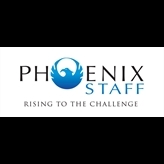 Remote Senior API Architect at Phoenix Staff, Inc.